I must admit I did let out something of a guffaw when I read an article in Grazia about ‘Normcore’. I thought initially it was an April Fool’s, but seeing the word scattered all over the internet ever since suggests that if it is an April Fool’s it’s a blimmin’ successful one. Grazia explains that the new trend is not to chase trendiness, and that normcore is “embracing sameness, rather than striving for ‘difference”. The normcore uniform is trainers, boyfriend jeans and sweaters – ‘fastidiously functional’ and designer label free. Though I do have to chuckle at the idea of hipsters and fashionistas actively trying to look like they’re not trying, there is a certain element of the idea that appeals to me. If you’ve followed my blog for a while you’ll know that I struggle a little with personal style – I’m drawn to pretty, patterned skater dresses and tea dresses but come the weekend I instinctively reach for my jeans. Deep down, my inner Rosie is a jeans and top person (not to mention a bit of a trainers freak). 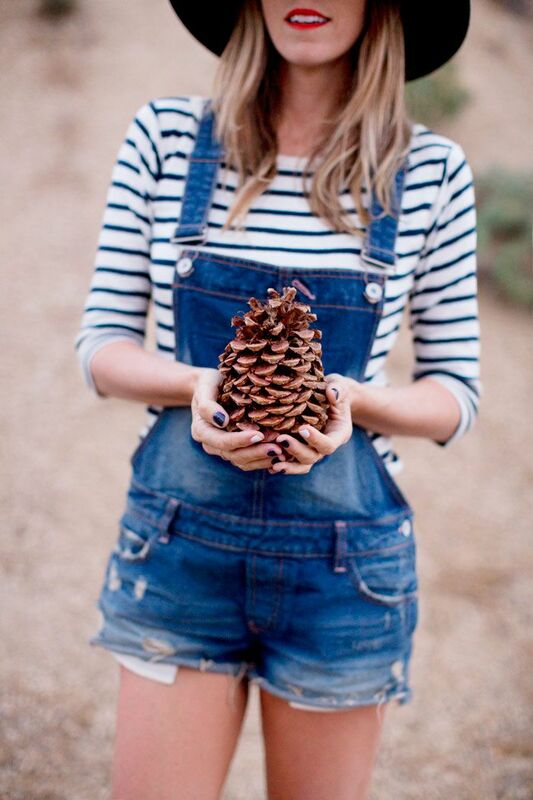 A quick look at my Pinterest board ‘Outfits and Fashion Inspiration’ confirms that indeed I am a fan of the chic but casual – breton tops, dungarees, boyfriend jeans and court shoes, lots of denim and comfy sneakers. I definitely admire and aspire to, outfits that manage to look comfortable and casual but not ‘slobby’; the outfit above features a marl tee, denim shirt and trainers and yet she still manages to look stylish – this is definitely something I want to nail! I have to say that it feels awesome to finally find looks that feel like ‘me’ and to recognise that although I gravitate towards pretty skater dresses and tea dresses in the shops and online, when I open my wardrobe these are rarely the things I want to wear. I’m now trying to rebuild my wardrobe with some key basics (a Breton top is definitely a basic!) and some accessories and other pieces that will make me feel like I’ve made an effort even when I’m wearing jeans and trainers. After searching for many years, maybe normcore will be my jam. What do you think of ‘normcore’? Are you a casual dresser or do you feel underdressed in anything less than a dress and heels?